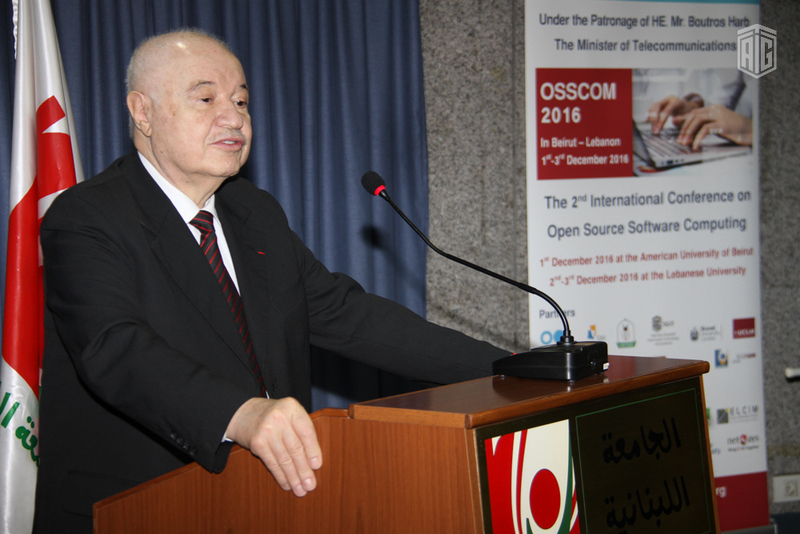 BEIRUT– HE Dr. Talal Abu-Ghazaleh, chairman of Talal Abu-Ghazaleh Organization (TAG-Org) chaired the 2nd International Conference on Open Source Software Computing (OSSCOM), held at the Lebanese University in Beirut. OSSCOM is an ongoing project supported by the European Commission- TEMPUS and is based on the theme of promoting partnerships between universities, organizations and companies with the aim to create open source software communities that renovate education and technical innovation. 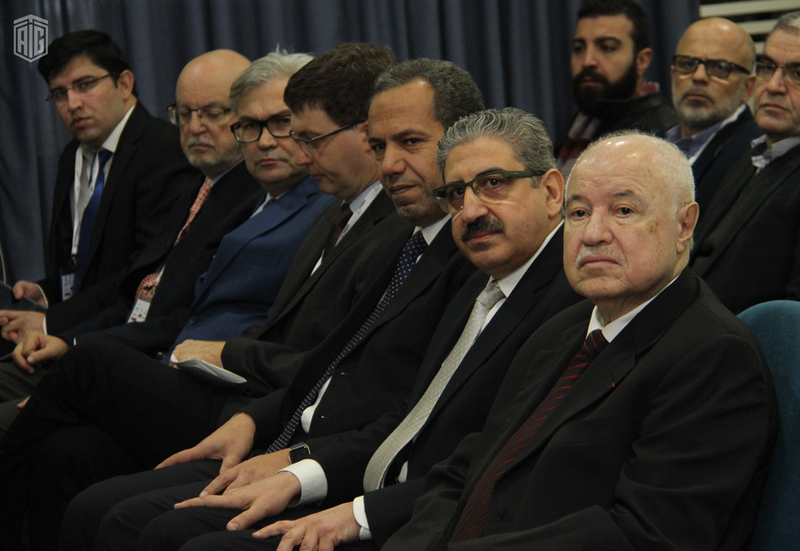 Dr. Fouad Ayoub, President of the Lebanese University, Dr. Aref Al Soufi, Officer of the Lebanese National Erasmus+ and representatives of companies, organizations, and universities in Lebanon, Jordan, Germany, Spain and Britain attended the Conference. Dr. Abu-Ghazaleh pointed out that the conference has been held in conjunction with Infrastructure and Quality of Education conferences, adding a new dialogue dimension among its participants including experts, researchers and decision-makers to further cooperate towards the adoption of open source software technologies. Meanwhile, Dr. Ayoub said, "Collaboration between universities and the private sector should be enhanced. Research and vocational education cooperation should be leveraged, in addition to the development of sustainable projects to use open source software, as well as the activation of their applications in all practical respects." During the conference, Dr. Abu-Ghazaleh discussed several topics with the President of the Lebanese University including the setup of Talal Abu-Ghazaleh Knowledge Center at the University; funding venues for the development of education in rural areas in Lebanon to support youth through the provision of education; and using Intellectual Property and patents registration services of Abu-Ghazaleh Intellectual Property. They also discussed the establishment of the Arab Open Source Software Society and that the Lebanese University can play an active role in the setup of the Lebanese Education and Research Network (LERN). LERN is meant to link the Lebanese University with the Arab and European research and education networks within the framework of the EUMEDCONNECT3 Project, which is co-funded by the European Commission. Currently, the international link for research and education is provided in collaboration with the American University in Beirut. This will serve as a dedicated high-speed Lebanese network that connects all universities in Lebanon with the research and education networks in the Arab region, Europe, and the world at large. The Lebanese University and TAG-Org are currently developing MoU to enhance cooperation for the purpose of developing professional education, taking advantage of TAG-Org's expertise in areas of Intellectual Property, copyrighting and patents.